Crabs carefully preserved by tanning, making it leathery & flexible, not brittle. One of a kind, you get exactly what you see in this photo. #W-1 Emerald beetle brooch, 1-1/2" long. 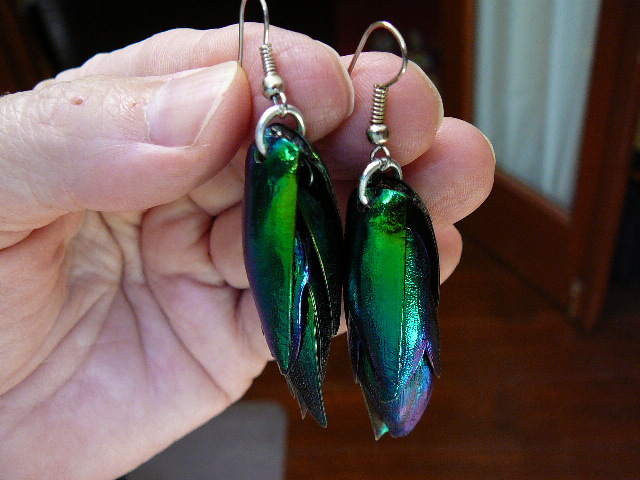 #W-1-A Cool Emerald beetle wing cluster earrings, 2" long.